Quality of life is mostly a matter of choice, not birth. Most importantly, it is God's will for His children. Dr. Hilliard breaks down his process to an easy-to-follow blueprint that features new methods, meditations, mentality, and mechanics for maximizing your life. By delving into Scripture and sharing his own life experiences-as well as those of others who have reached their breaking point and broken through instead of breaking down-Dr. Hilliard raises your awareness of the barriers in your life and how to overcome them. 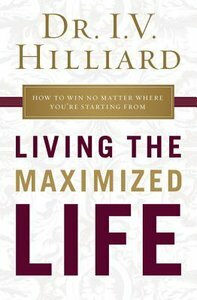 About "Living the Maximized Life: How to Win No Matter Where You're Starting From"